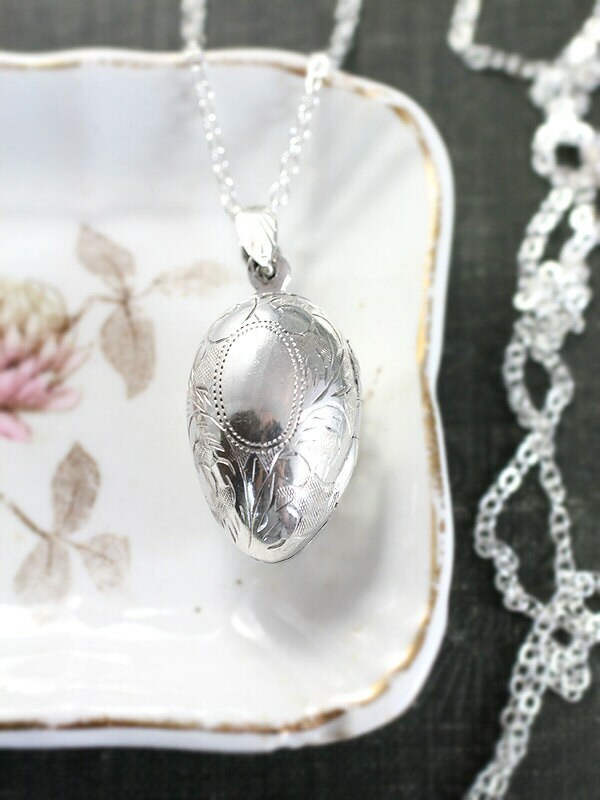 A sterling silver locket boasts a unique 3d egg shape with beautiful classic engraving all around. 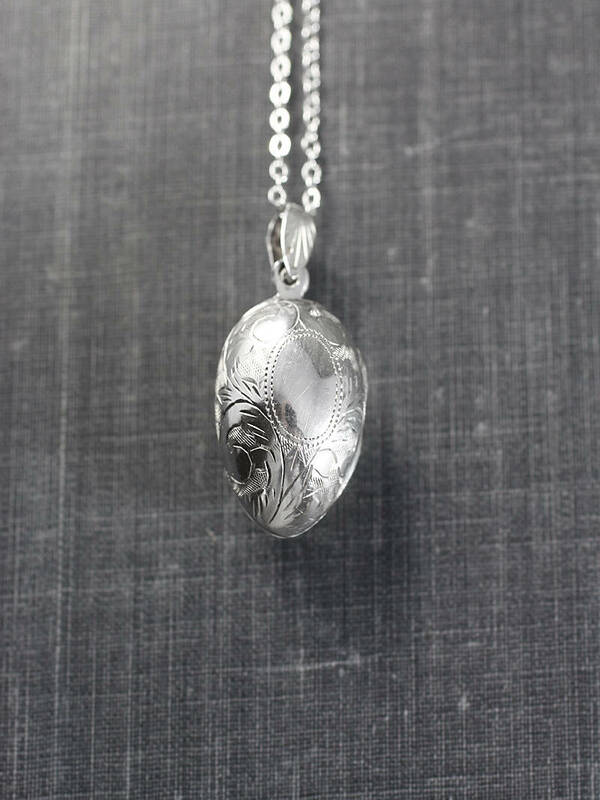 The sterling silver locket pendant opens to reveal two places ready to hold your beloved photographs, lock of hair, or small treasure. 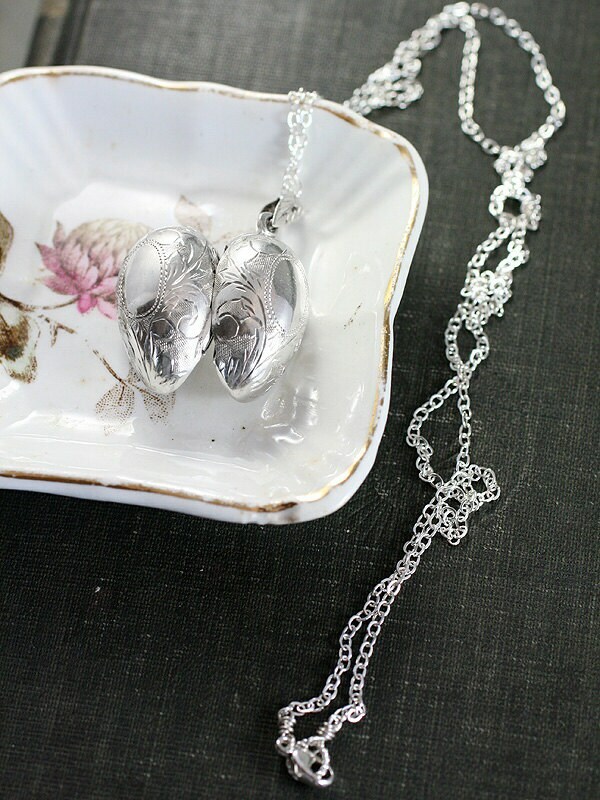 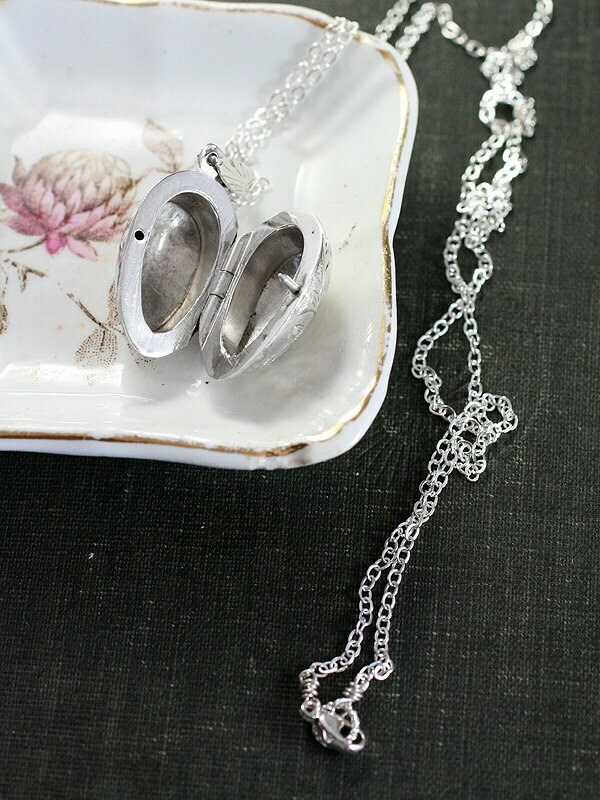 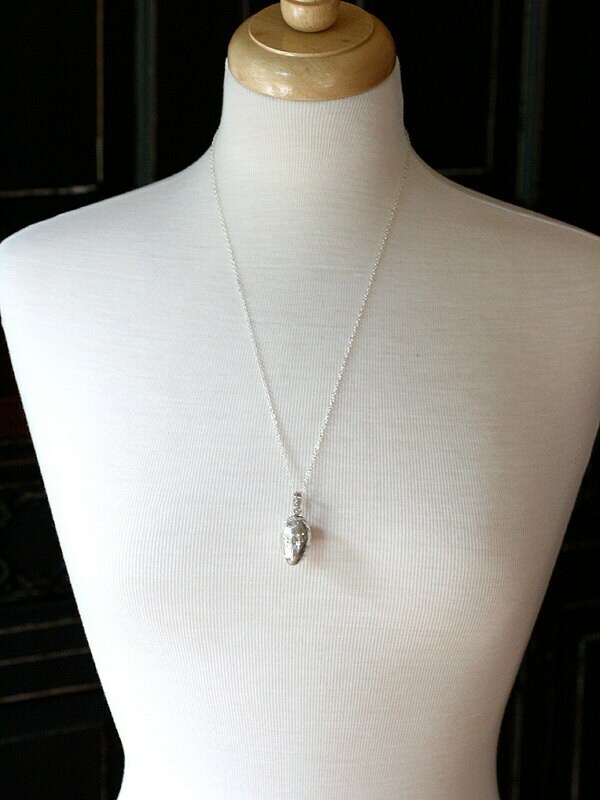 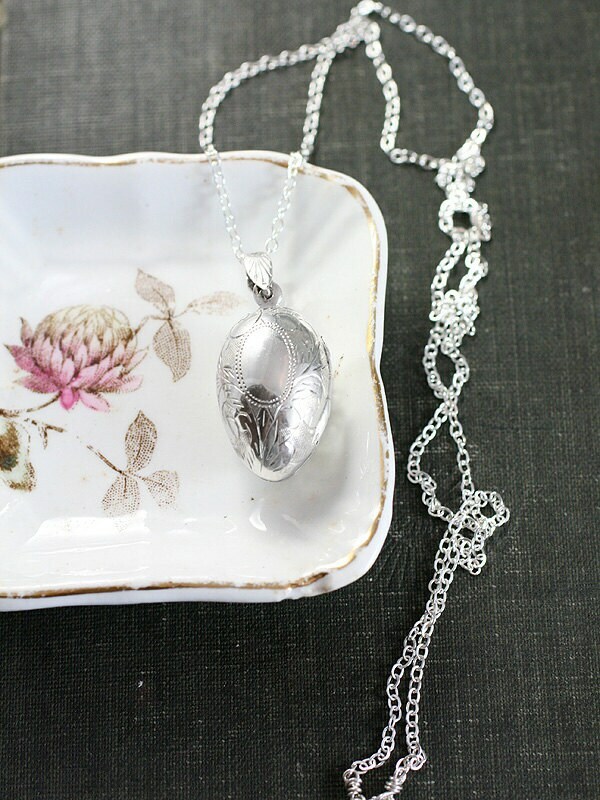 The locket is set on a long chain of sterling silver hand finished with a trigger clasp and ring.